If ever there was a time to hone your communication skills, the current recession with its hugely increased competition for jobs is the one. Employers, already stressed by financial shortfalls and a need to maintain business as usual to prevent further disasters are sorting applications with a microscope. They can afford to recruit, but only if the new recruits are going to be successful. 1. Apply for the right job. That is not to say that you can’t stretch the walls of your experience and try something a little outside your present job situation, but if you’ve been a retail store manager for ten years with absolutely no background in IT, applying for a corporate IT position is probably not your best bet. What constitutes your best application effort? 2. Follow directions! This may seem obvious, but the number of applicants who are rejected based on an inability to fill in the correct information where it is required is staggering. 3. If you must hand-write the information on-site, write legibly. If at all possible, take the form home and fill it out at your leisure. Write your answers on paper then transfer them to the application so that you have no cross-outs or erasures marring the beauty of your handiwork. 4. Research your history in advance. A note card with all of the dates of your prior employments and educational experiences is invaluable. Write it once, laminate it, and keep it with you in case an application happens to wander by. 5. Leave no lines blank. If the question doesn’t apply, draw a neat line through the empty space or write “N/A”, but don’t give the employer the impression that you simply didn’t bother reading every question. To him they are all vitally important. 6. Line up your references in advance and keep a card with their contact information with you. Give names, phone numbers, and places of business for professional references and home phones and addresses for personal references. Two more laminated note cards will do the trick. 7. Be succinct. Long, rambling, or humorous responses make for great email forwards, but may not be to the employer’s liking. 8. Blow your own horn, but do it politely. Stick to the facts. If you have won awards and commendations, by all means list them. Writing that the boss told you he’d never seen a better mail-sorter is second-hand information that the employer can get when he calls your references. 9. 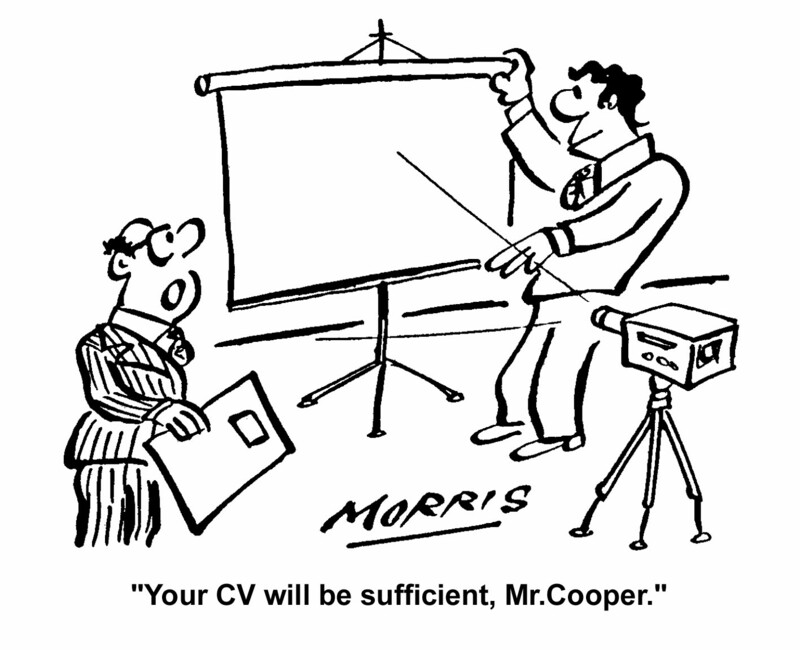 Don’t pad your CV with falsehoods. They will come to light, and you will lose your job (and possibly be sued for your trouble). In this atmosphere, truthfulness is the best bet. Gone are the days when an imaginary college degree would slip by unnoticed. 10. By the same token, don’t elaborate on your past mistakes. If there are gaps in your employment or education history, there will be questions during the interview that will allow you to address those. Don’t offer information that might damage your chances. 11. If you are not sure about your skill at CV writing, considering employing a professional CV service. If that is beyond your financial reach, most word processing or desktop publishing software has a template. Play around with it. If you don’t have anything on your home computer, try the public library, or visit openoffice.org. Make copies of your CV and keep them with you to attach to application forms. 12. If you are fresh out of school, you may not have much of a work history, but you may have a load of activities that will suffice as experience. Another note card might be helpful here. There’s nothing more disheartening than remembering later that you should have mentioned having been president of the largest University social club. Calling to correct the error will not do. 13. Do not belittle or criticise your current or last employer. If you were fired, made redundant, or down-sized, simply state the fact without explanation. If your application survives the first round, you will have plenty of time to explain (without rancor!) at the interview how you happen to be job-hunting. 14. Do your homework! Make sure you know exactly what the job at hand entails and research the company that’s offering it. Know who you’re writing for. The internet has made this part simple, but it won’t do the work for you. 15. Be timely. If there is a deadline, beat it by as much as possible. If there are rules, follow them to the letter. If no one has contacted you within two weeks, call and say you are following up on your application, wondering if there are any questions you might answer. The most important part of the job application is your effort. The more applications you file, the better chance you have of getting a job. If you are in a highly competitive field, quantity won’t be as important as quality. Find the one thing that sets you apart from the competition and stress that clearly in every application. Be confident, be honest, and expect to spend as much time looking for a job as you did working at your last one, and you will have the success you have earned.